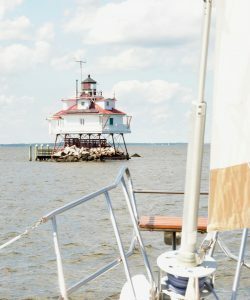 Lighthouses are a special feature of Chesapeake Bay lore. 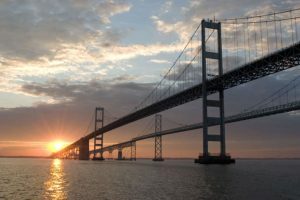 Historically, they have provided mariners and fishermen with essential warnings of shallows, markers of channels and a welcome reassuring sight of location: they signal a way back to port, safety and family. 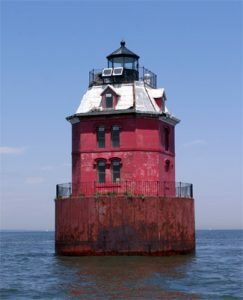 Essentially, each Chesapeake Bay Lighthouse is unique in appearance and many are an emotional milestone in history. Most can only be visited by boat, and we are proud to honor the lighthouses of the Annapolis area with a respectful and fun visit. Please join us! 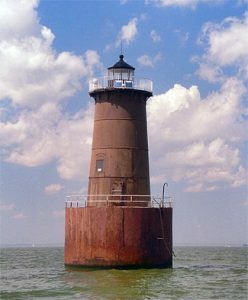 We have designed our Chesapeake Lighthouse Tour to capture each of the Lighthouses and significant markers around Annapolis: Thomas Point Lighthouse, Bloody Point Lighthouse, the large ship Channel Markers of the deep bay (often with ocean going ships and cruise ships barreling up and down the bay! ), large ship anchorage markers, the Chesapeake Bay Bridge, Sandy Point Lighthouse and the Baltimore Harbor Light. On our tour, we will visit these historic landmarks for close up photographs (See Yacht Photography Tips). Our assigned instructor aboard will give more details about their history. The tour lasts 3 hours on our 34-ft powerboat, Irie Vibes, and approximately 5 hours on our 43-ft sailboat, Therapy - depending on the wind speed and direction. For custom Lighthouse Tours for private groups, please Contact Us with your requested date and time, and any further information.